I really enjoy homeschooling the high school years. I love to hear from each of my kids about what intersts them and what they would like to study. As a mom that wants to help them grow and cultivate their interests, I spend alot of time researching and trying to find the best curriculum that isn't going to waste time and isn't going to waste any money. Our first experience with 7Sisters was Philosophy in 4 Questions. My daughter really enjoyed the material and her and I had some great conversations about it. I want curriculum that helps to open the doors of communication. I also appreciate that several of the products have different levels of work, allowing you to determine if the class would be a standard high school credit or an honors credit. Lastly, the worksheets and tips they offer - for free - are so helpful! It really is a gift to have such wonderful resources available. Philosophy in 4 Questions - This product has 30 chapters. It is, in my opinion, a year long curriculum. Although it does discuss the great philosophers - it isn't the main focus of this curriculum like others you may have seen. This was fantastic for my daughter. She had used one of those other curriculums previously. It was fine - she got some very heavy information out of it - but didn't really know what to do with it. What she liked about the 7Sisters material is that it taught her what to do with the information, why she should care about it and how to use it. This product is from a Biblical perspecitve. One quote that her and I love from the material is this - "Philosophy is the practice of thinking clearly about your life - by asking and answering four questions - so you can live your life more excellently." Financial Literacy - I am super excited about this product. This would be amazing in a small group environment. 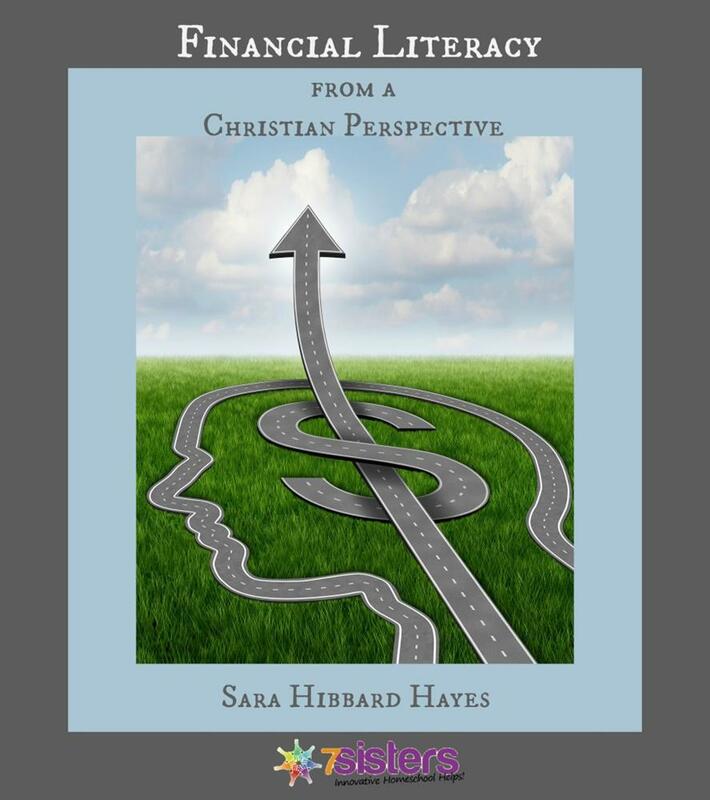 Not only does it cover the typical personal finance topics such as taxes, insurance, etc, but it also goes into handeling money wisely - budgeting, setting goals, career choices. I could call this course a combination of consumer math, personal finance and life skills. This is listed as a one credit course. Cathy Duffy also had a positive review of this product. I appreciate that 7Sisters goes above and beyond with free financial articles for teens, group activities that coordinate with the subject matter and worksheets for your student. *It is important to note that, if doing this in a small group, each student does need their own copy. Psychology - Introduction to Psychology - written by a mental healthcare professional and a homeschooling mom. This curriculum is extremely thorough from the very beginning. You have the option of five different credit levels with this course - from a standard high school 1/2 credit to an honors 1/2 credit or standard 2 credits. This course has 15 chapters and could be done in a single semester. If you were wanting to make this an honors or a 2 credit course, I would do it over a year. Anyone who knows me, knows that I am a huge fan of multi-sensory learning. This high school course has that - colored clay sculpting, experiments, optical illusions and more. This is not your typical psychology class. Although it does cover topics such as the brain, learning, genetics, the history of psychology. It also has chapters that cover sleep and dreams, abnormal psychology, Christian counseling, careers in psychology and helping a friend in crisis. This course could also be very sucessful in a group setting. *Each student would need their own copy. Career Exploration - This course would pair so nicely with the Financial Literacy course. This is another one I am super excited about. I really enjoy the shadowing my kids as they take the journey of exploring various career paths. I enjoy hearing from them what they feel their gifts, talents and strengths are, as well as their interests and helping to guide them accordingly. I love to watch their brains start to really start turning and asking tough questions, independently reseaching for answers - it is exciting! What I love about this product is that it really walks you through so many important areas to introduce your child to. Things like job shadowing, resume preparation, mock interviews and more. This would be an excellent course for a group setting. *Each student would need their own copy.